In keeping with my new banner and title, I give you a series of Korean proverbs from Wikiquote. 남의 떡이 더 커 보인다. – Someone else’s rice cake always looks bigger. which seems to correspond to the English proverb of the grass being always greener on the other side. 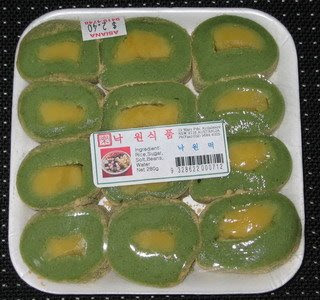 Rice cake=떡=Ddeok, hence the Ddeok is always greener. As always, I am bringing the world closer together. 소 잃고 외양간 고친다. – After losing a cow, one repairs the barn. 빈 수레가 요란하다. – An empty cart rattles loudly. 하늘의 별 따기. – Catching a star in the sky. – an impossible deed. 아는 길도 물어가라. – Even if you know the way, ask one more time. 티끌모아 태산. – One can build a mountain by collecting specks of dust. 시작이 반이다. – Starting is half the task. 등잔 밑이 어둡다. – Underneath the lampbase is dark.